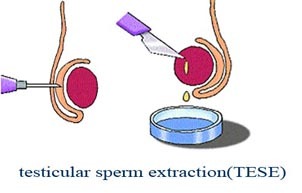 Of a blockage in the connecting passages from the testicles – called obstructive azoospermia. Very few sperm are being produced in the testicles – called non-obstructive azoospermia. Stay alone – a responsible adult must stay with you during this time. PGD involves screening the embryos created during an IVF cycle BEFORE they are returned to the uterus. A single cell is removed from the embryo and the genetic material is examined to screen for abnormalities. Particularly useful for couples with a known history of genetic disease, this early screening of embryos allows only embryos without known genetic defects to be returned to the uterus. Some of the diseases which may be screened out with this procedure include Downs Syndrome (Trisomy 21), Cri du Chat (Trisomy 18), Tay Sachs disease, Huntington’s disease and cystic fibrosis as well as many X-linked diseases. PGD may also be used to look for chromosomal aberrations as an explanation for repeated miscarriage and/or failed previous IVF cycles. Parents with a family history of a serious or fatal genetic condition now have the option of combining IVF and genetic testing in a technique known as pre-implantation genetic diagnosis, or PGD. Couples using PGD first need to use IVF procedures to generate embryos. A single cell can then be removed from the very early embryo without damaging it. This cell can be tested to see if it carries the genetic defect that causes the condition. Only embryos that do not carry the defective gene are implanted in the mother. While there has only been limited use of PGD so far, the potential applications of PGD are increasing rapidly as researchers identify more of the genes associated with serious genetic conditions. As with all IVF procedures, a successful pregnancy is not guaranteed. However, for many couples who have experienced a serious genetic condition or lost family members, PGD is more acceptable than using prenatal genetic testing on a growing baby, or not having children at all. Genetic testing in any context raises many significant issues for our community, but particularly when embryos are involved. In general, PGD is usually only permitted for serious or life-threatening conditions and if it leads to an improvement in the welfare and the interests of the child being born. Some families have used PGD to test their embryos to ensure they can provide a bone marrow transplant for a sick sibling. The bone marrow cells for the sick sibling are taken from the umbilical cord blood of the new baby. Using this process of tissue typing, these babies are sometimes called ‘saviour siblings’ as they can literally save their sick brother or sister’s life. Regulations regarding this use of PGD testing vary from country to country, and in Australia some states are regulated while others are not. In March 2004 the first ‘saviour sibling’ to be born in Australia was reported. A couple from Tasmania used PGD with tissue typing in order to have a second child who would be free from a particular genetic condition, Hyper IgM syndrome, and to also be a matched tissue donor for the couple’s existing child who is affected by the same condition. As a result of the treatment, carried out at Sydney IVF, the woman started her pregnancy knowing that her baby will be free from Hyper IgM and a potential tissue donor for her existing son.